Barcelona line-up: Valdés, Adriano, Puyol, Mascherano, Montoya, Busquets, Sergi Roberto, Iniesta, Alexis, Pedro, Cesc Fabregas. Barcelona gave the first step towards the next round of the Copa del Rey, after running over Getafe at the Copa del Rey by 4-0, on a first leg held at the Camp Nou. 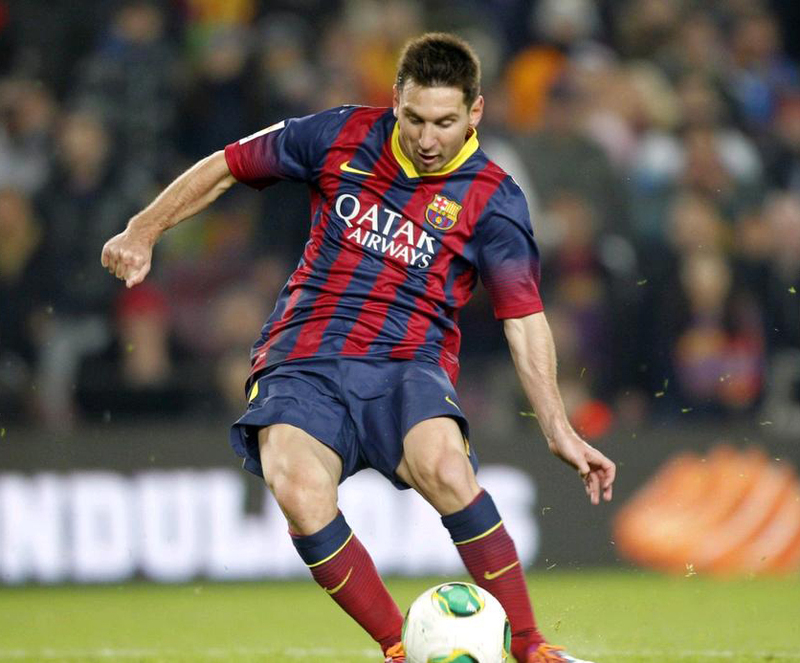 The highlight of the game took place in the 2nd half, when Lionel Messi made his return to the football fields after a long absence due to an injury picked up in 2013. Neymar has missed this game though, due to an gastroenteritis problem. The opener came in at the 9th minute of the first half, on a nice header finish from Cesc Fabregas, after a pinpoint cross made by Pedro on the left. No more goals got scored until half-time and Barça fans had to wait for the 2nd period to see the deal being sealed for good. The 2-0 was scored again by Cesc Fabregas, this time from the penalty-kick spot, around the 63rd minute of the game. 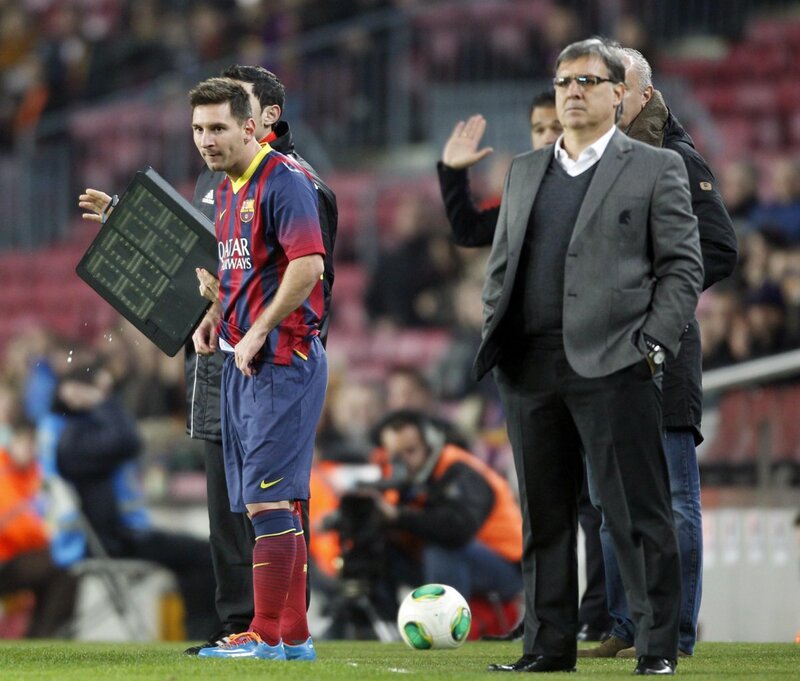 Following that goal, Tato Martino decided it was about time to send in Lionel Messi into the game and give the Argentinian his first playing minutes after being kept out for a long period of time. 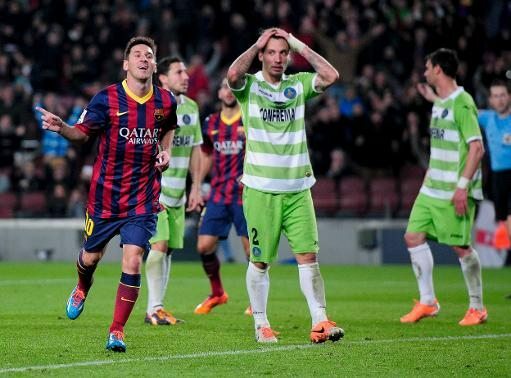 Predictably, it would be precisely Messi who scored the other two goals of this game. 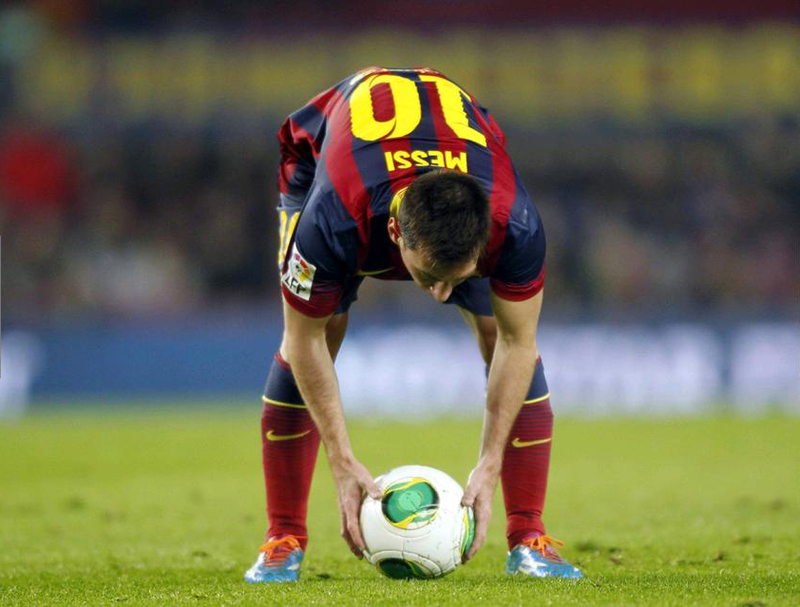 The 4-times FIFA Ballon d’Or winner scored his first in the 89th minute, after picking up a loose ball already inside Getafe‘s box and easily striking it to the back of the net. 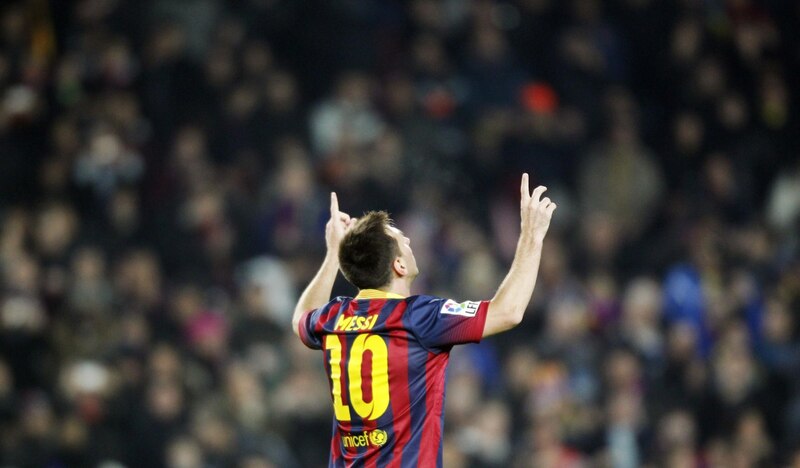 The final 4-0 arrived 3 minutes later, on a characteristic Messi play down the right wing, where “La Pulga” showed off his technique and ball control skills at full speed, as he raced towards Getafe‘s goal to score another brace in his career. 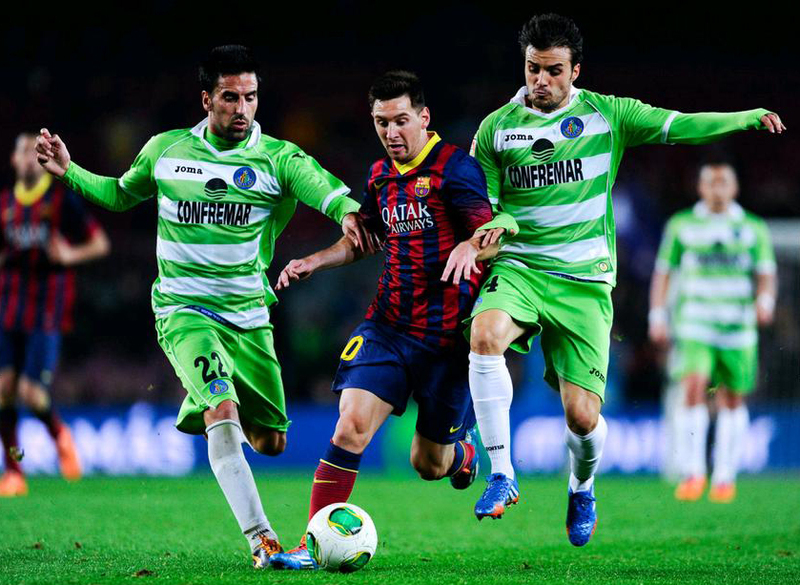 Barça will still have to visit Getafe to play the 2nd leg, but the qualification for the next round is already virtually assured. This weekend (on Saturday), Barcelona visits Atletico Madrid in a game where whoever wins will lead La Liga with a 3-point cushion. 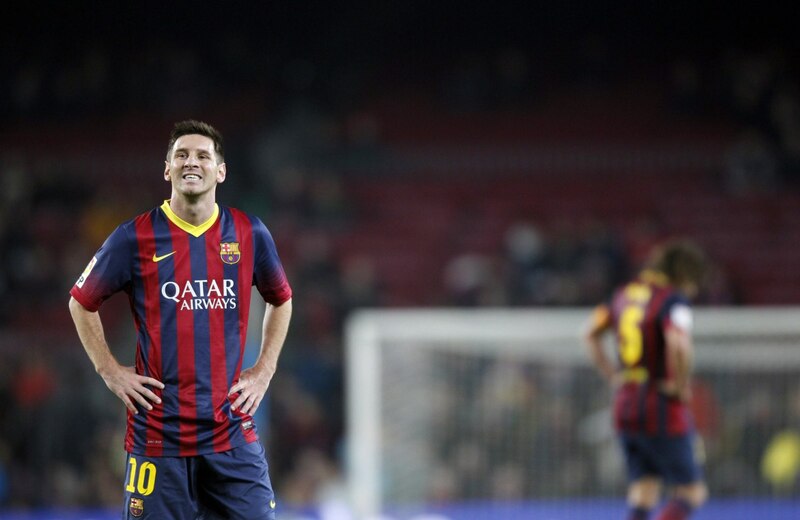 Both Neymar and Lionel Messi are expected to be featured on Barça‘s line-up.